Studying abroad can be a massively rewarding experience but for a lot of students, they’ll be studying in a second language. The most common language that international students will study in is English but any second language can prove just as difficult.Learning in a language that isn’t your own can be pretty daunting. So don’t worry if you’re feeling a little nervous. It’s completely understandable. Most of all – you’ll be a lot better at it than you first think and will only get better as your course progresses.Here is our advice for studying in a second language. Many English language courses require international students, who have English as a second language, to complete a test which proves they are sufficiently competent in the language. For example, to study in Australia, international students are required to exhibit knowledge of the English language to an IELTS rating of 6.0. Passing these tests will mean you will be able to comfortably listen, read and write, and study in English. Most countries have now embraced English as a common language and teach it from a young age. But by watching English speaking TV shows and films, you can improve your language skills even further. Taking a course designed to improve your English skills may also be a good idea to boost your confidence. Some students, whilst they are fairly proficient in a second language, find it tricky to keep up with the pace at which the lectures and seminars move. It can be really easy to get stuck on a particular part of the lecture and have it throw off the entire class. By using a dictaphone to record your classes, you can easily go back and spend more time on a specific element to ensure you thoroughly understand it. That way you can learn at your own pace. Whatever the language, you should really do everything you can to immerse yourself in-to the culture of native speakers. Your lectures should not be your only exposure to the language. Be sociable. Join a club. You can even get a part-time job. 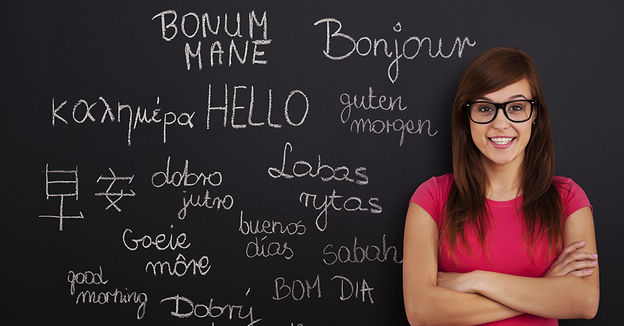 Getting a job will require you to practice your language skills and will allow you to learn more quickly. Surrounding yourself with native speakers helps you to learn colloquialisms and casual ways of speaking which you might not pick up in lectures. Living with a mix of local and international students is a great way to practice your language skills. It’s completely normal to find studying a second language a little overwhelming at first. The most important thing is to remember that it will get easier. Help will be on hand too. If you’re struggling then your professor, study abroad counsellor or the international student services department will be available to speak to. It’s important to ask for help when you need to, to ensure you don’t get behind in your studies. You can always turn to your peers for help and advice too. Read our help guide on how to become a successful International student. Studying abroad is an impressive thing to do, especially if you’re studying with a knowledge of the native language. However, many other international students will be in the same position as you and it will be a lot easier than you think. « How important is your first job as a graduate?